As I promised last month that I will not go for shopping for the whole month, because I shopped a lot last month :D And, I kept my promise :D Though still I didn't shopped that much this month. This is what I got. This post is more like an OBSESSION Post :D Because I am obsessed with all the things in this Haul. 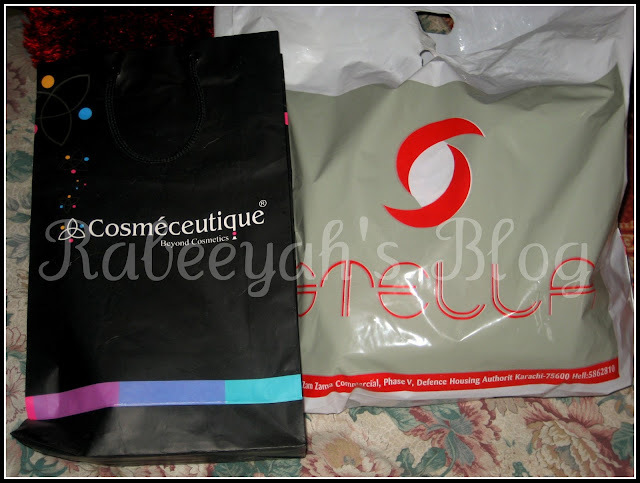 I ordered some of the products from Cosmeceutique. It is a brand which has natural products. I have very bad under eye circles. One of my followers suggested me to use Under Eye Gel from this brand. Thanks to her! 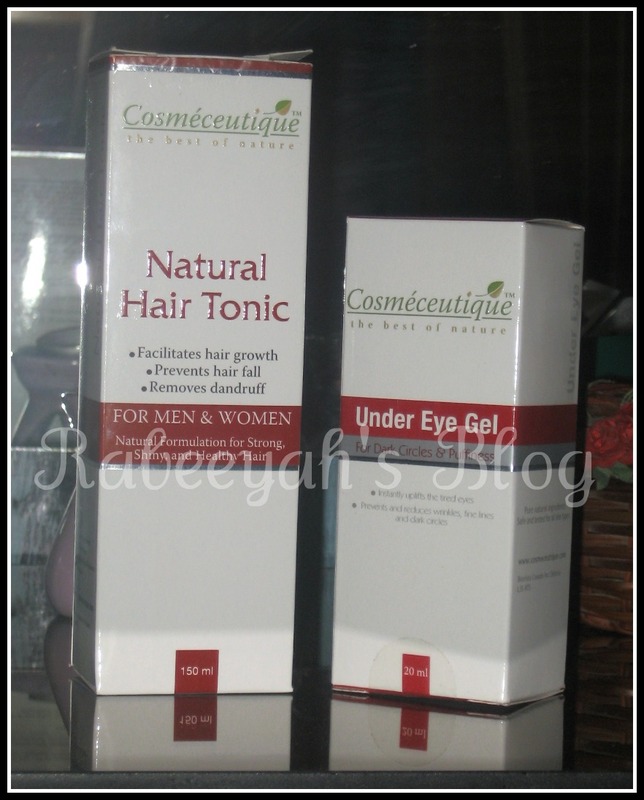 I ordered Under Eye Gel and Hairfall Hair Tonic. Uptill now I am loving both of the products and I am sticked to them. I use the gel everyday and the hair tonic/oil every alternate days. After this, I always wanted NYX Cream Rouge Blush in BOHO CHIC. Since the day I heard about the reviews about this blush, I wanted it so badly. I ordered it from one of the website and yayyy it came in less than 10 days from LA. Which is quite amazing. And, I am LOVING that blush. I am obsessed with it. Though it came broken, but I still can use it. I will be doing a review on it very soon :) This is what I got from NYX. 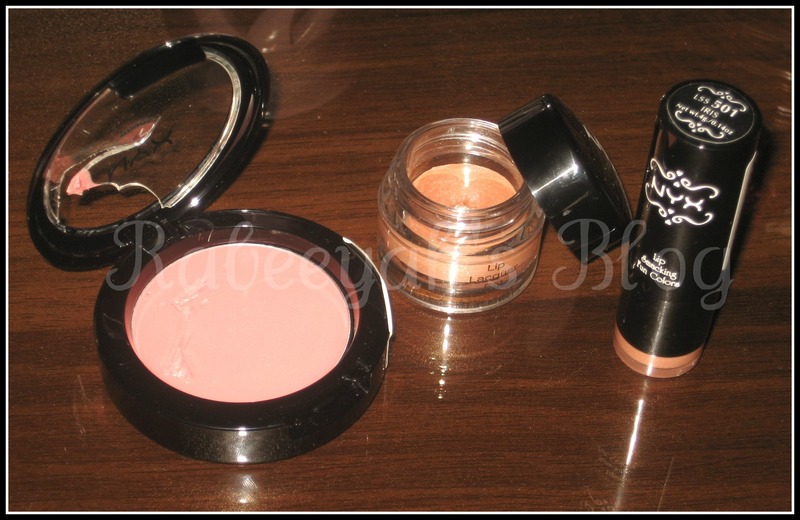 Cream blush in Boho Chic, Lipstick in Iris and Lip Laquer pot in Night in Manhattan. I got 2 more lipsticks which I am selling out and 2 more cream blushes which are not mines. They were ordered to me by one of my followers. This is what I got. I wanted it in black, but they were out of stock. Half of the stock finished within a week. There were so many colors and styles and shapes. I was going crazy. I took almost 30 minutes or more to decide which bag to buy :D The guy was like why don't you buy all three of them, as I was confused between 2 Juicy bags and 1 Chloe's bag. The shop was so colorful with all the Juicy bags. I got it for Rs.2100, original price is Rs.2250. I was given Rs.150 discount (don't know why). I got it from Stella! I was shocked to see Juicy bags in other shops in the same lane for Rs.3000. Girls, if you are looking for this bag. You should check Stella. 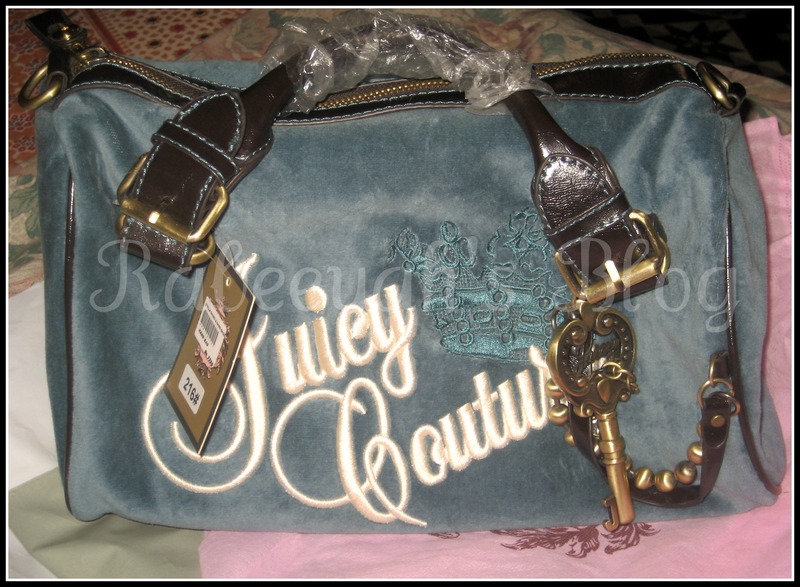 They have amazing copies of branded bags from Juicy Couture, LV and Chloe. Oh! I also bought a dress and a pair of flat flip flops. I forgot to take the picture of the flip flops. It's a casual flats for Rs.290, from a new shop opened a week back at Zamzama. If you want me to review any of the products, (except bag ofcourse) do let me know. LOVE you all. Great haul :) the nyx stuff looks amazing. i wanted juicy couture bag, but i was also confused about the material. thank you so much for telling us about stella. this color is better thn black!! NYX blush is amazing! I never liked cream blushes that much, but this one is worth it. from where did y get the nyx blush in pk?? or u ordered online? Thank you Shahtaj and Atia! from which site u ordered online?? nice haul,i have ordered some products from that site too (fingers crossed)hopefully they reach here safely. @Maryam, they will reach safely don't worry :D Hehe! If you need this bag, this online website has it too. If you don't find it in Lahore, you can order online. Shafaq, it's on the main Zamzama road. Opposite Arizona Grill.